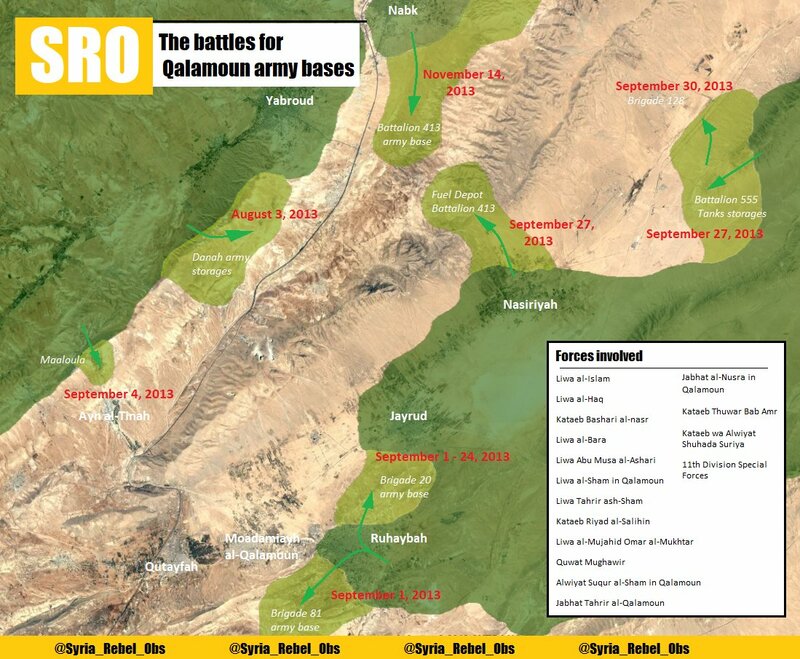 #SRO | EXCLUSIVE | CAMPAIGN FOR #QALAMOUN MILITARY BASES - During autumn 2013, we saw many offensives in #Qalamoun valleys without seeing, in fact, they took place in an incredible coordination from near two dozens rebellion forces. 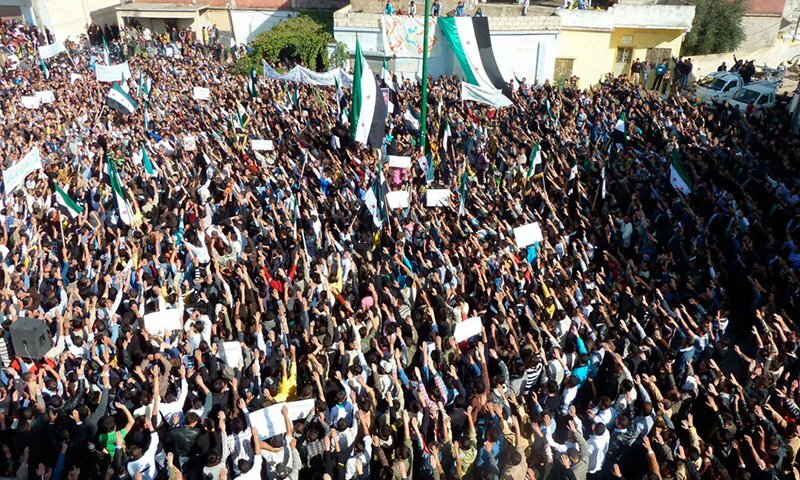 Here is the exclusive global view | #Syria. ADD. 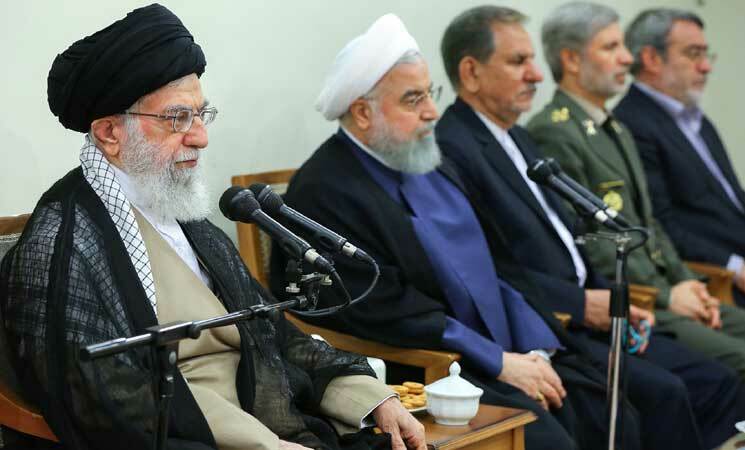 : it appears that Liwa al-Islam and Jbahat al-Nusra were clearly "masters of strategy" in operations. 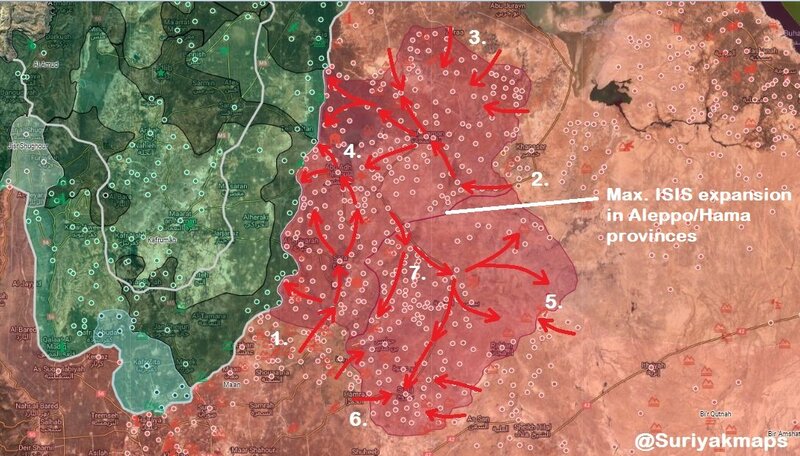 And we understood how the army could be defeated only with this global view : imagine one moment in september : loyalists were fighting on nearly 5 fronts only in #Qalamoun ! 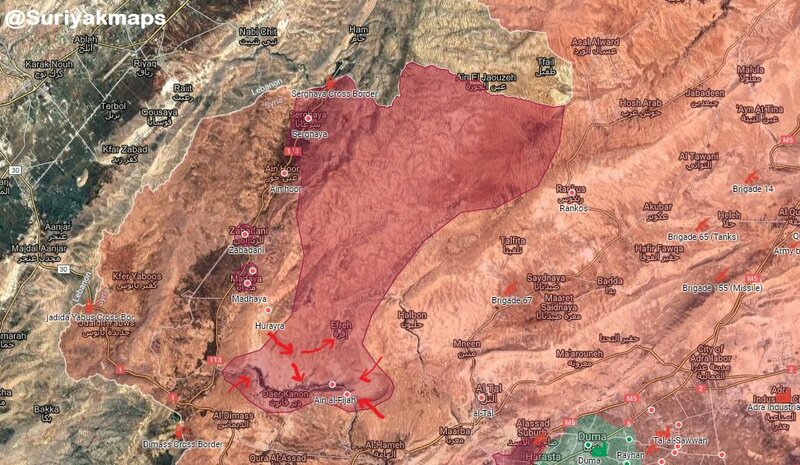 In 2015 after fall of #Palmyra #ISIS quickly came through gates of #Damascus and #Suwayda but they focused on #Qalamoun. After 2016, #FSA near Jordanian border started to attack to ISIS and gained ground through early 2017. 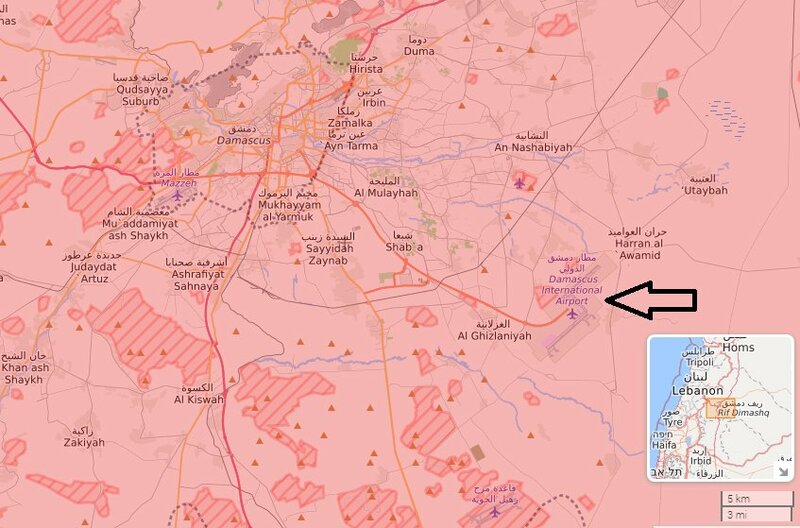 When #SAA was planning massive offensive to capture whole #ISIS areas in the center and east of country. #FSA in #Qalamun and near Jordanian border attacks to ISIS and try to open supply line for the besieged Qalamun pocket. 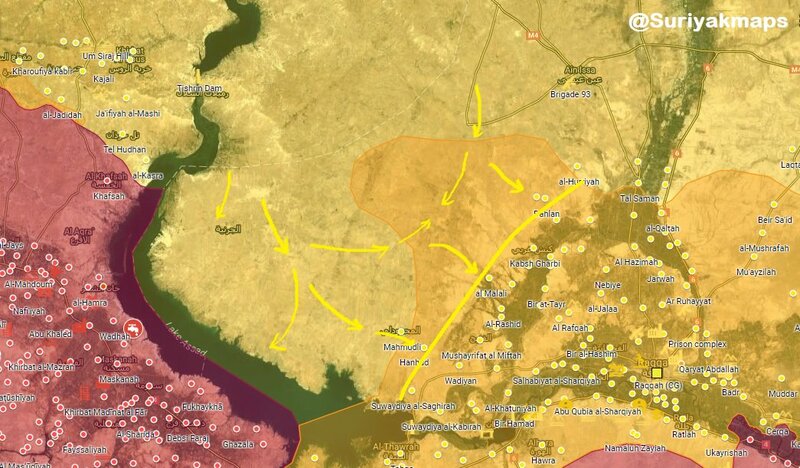 #ISIS was pulling back these areas quickly. They did same in June 2016. 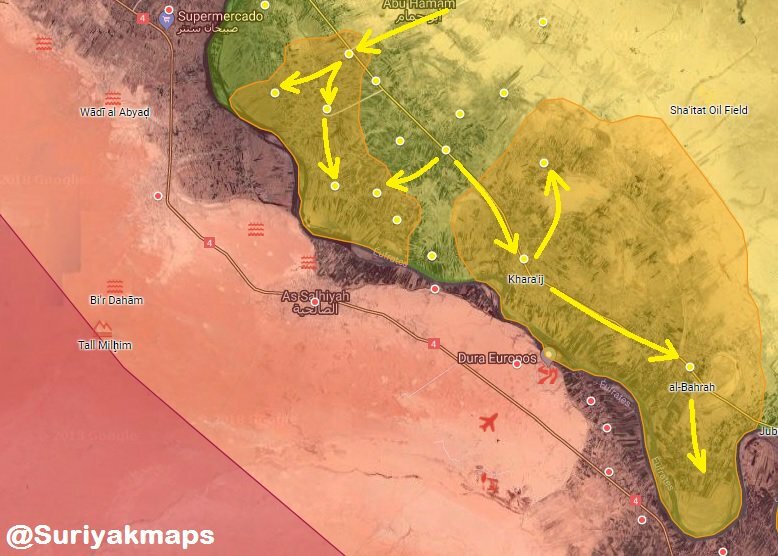 They fallback near al Tanf and Iraqi border. Rebels with US Spec Ops attacked #AbuKamal under US-led Coaltion Air Support. We remain the strongest on the battlefield, we are who the enemy always fear. 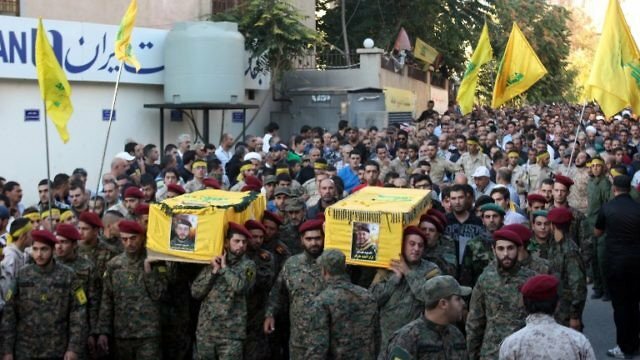 #Syria | #Hezbollah during a live fight against #ISIS terrorists in #Qalamoun.